After a successful album in 2009 with a lineup change, and over 11 years since the death of original lead singer Layne Staley, Alice In Chains return with a new album with an odd title [a dig towards some who believe Satan put dinosaurs on the earth to confuse humans] that is really one of their best albums to date. If there is such a thing as progressive grunge, this is it. I do miss Layne’s voice, but I can tell you that William DuVall has come into his own, while harmonizing quite well with guitarist Jerry Cantrell. Not a single song on this album is weak, although if I had to pick one, it would be “Hung on a Hook” as it does descend into the background, like the title track from the “Dirt” album. 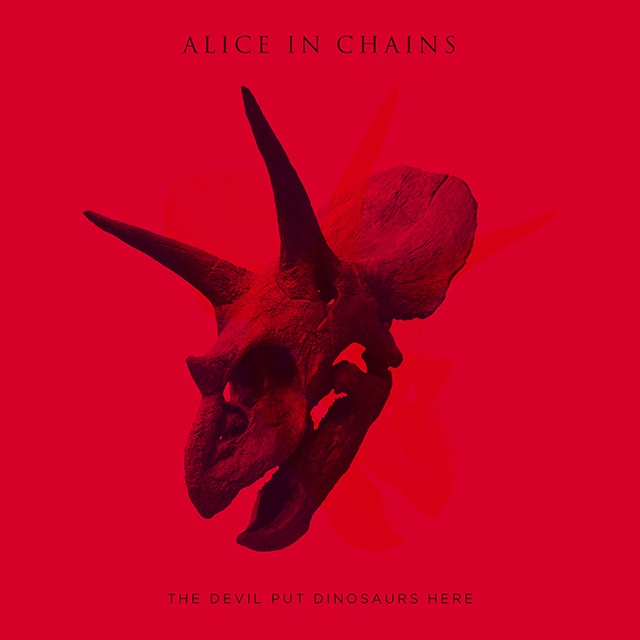 But the songs all mix well, with the classic Alice In Chains sound and the updated production. There are some purists who say that the band should have laid to rest the Alice In Chains name and just gone by a new name. But I don’t agree. I think this is every bit Alice In Chains and musically, they have found a place in grunge and rock as a solid quartet that carries their history and makes it currently relevant. Anyone else Alice In Chains fans that want to weight in with their opinion on the new album?